I welcome you to the Shinas College of Technology website. This is our window to portray our image to the world and showcase our strength in higher education. In a progressive and highly competitive market, it is crucial for ShCT to keep pace with all the advances in technologies and innovation. Therefore, in our three fields of studies; engineering, information technologies and business studies we have made alignments to the needs and requirements of the local and regional markets. 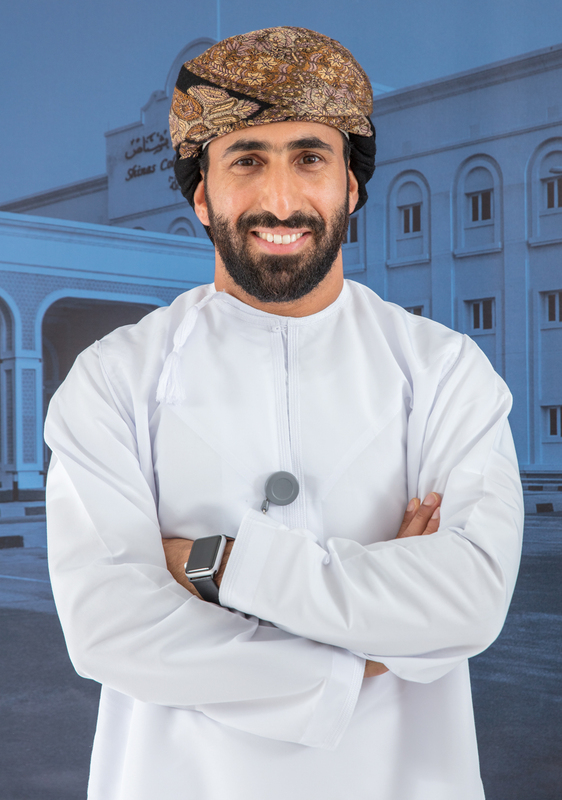 The Quality Department at the college is constantly monitoring and reviewing the college programs and practices Our aim is to furnish our graduates with the knowledge and skills necessary to meet the challenges and demands of the evolving industrial innovation. We pride ourselves in providing the local economy with approximately 550 highly skilled graduates each year. Our programs are designed to put theory to practice through intensive laboratory work. Moreover, we have tailored a mandatory On-the-Job training at the private sector to stand on the real situation at the workplace. In addition, we give our students the space and opportunities to develop their managerial and leadership skills as well as their critical thinking abilities. We have taken the initiative to disseminate knowledge through our community programs where courses and workshops are provided in all strides of knowledge. We are partnering with the private sector to solve the challenges encountered at the workplace and we also provide specialized workshops. I would like to extend my invitation to you to visit and explore our ShCT campus. You will find a dedicated and cooperative team to walk you through our services and activities.